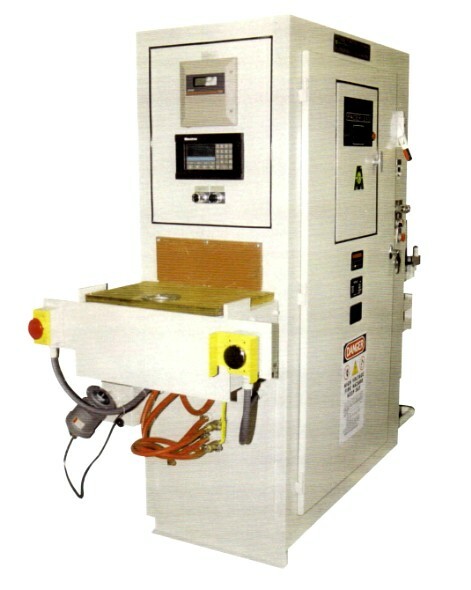 This is a manual load/unload machine for annealling of pinion threads. This is one of many machines Ajax Tocco builds utlizing simple and safe fixturing for manual load and unload operations. All scanners, lift/rotate machines, and dial index machines can be manually loaded and unloaded.